I wanted to evaluate the different alternatives when wanting to encrypt submission data from Episerver Forms. So I tried out the default implementation suggested from Episerver, which is officially documented here. Briefly explained, the official out of the box solution takes all form data field and encrypt each field to the database. Then by roles permission, restrict the “submission” view. 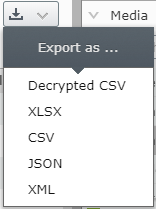 Still even if the view is restricted, the submissions are encrypted in the view, and the only way to decrypt the data is selecting the export format “Decrypt csv”. The submission view is encrypted even if same user can export the data, probably because of time-consuming operations when decrypting. It is using Azure Key Vault to securely store the crypt key, here is my step by step guide how to configure a secret string in Azure Key Vault. Maybe a good thing if you´re already in the Azure Cloud, and have the Azure Cloud infrastructure in place. But not necessary, you can implement your own encryption engine with your own key storage. Is it only on or off, for all forms on your site(s). 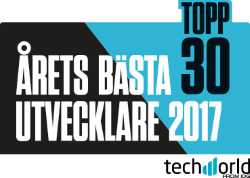 This is my favorite and recommendation, EMVP Daniel Ovaska blogged about his solution on Episerver World. Thanks to Episerver following SOLID principles, almost every service/engine is replaceable with your own (where it is implemented right, not always the case). This opens up for some easy customization. Briefly explained, you override the input fields of choice and decorate them with an EncryptedForms attribute, these fields then get en-/decrypted when used in form of choice. Same as Alt 1, you can restrict access to submission view with roles, explained here (bottom page). I like this better since the form editor is in charge to decide what fields/forms to be encrypted. In my implementation I implemented three Element blocks, email, textbox, textarea, and that’s enough since we want to protect any personal data, where data can be coupled with a user. It can be a good architectual point to separate the user submission data from the Episerver database. So it is not copied to other environments when synchronising to staging/dev.